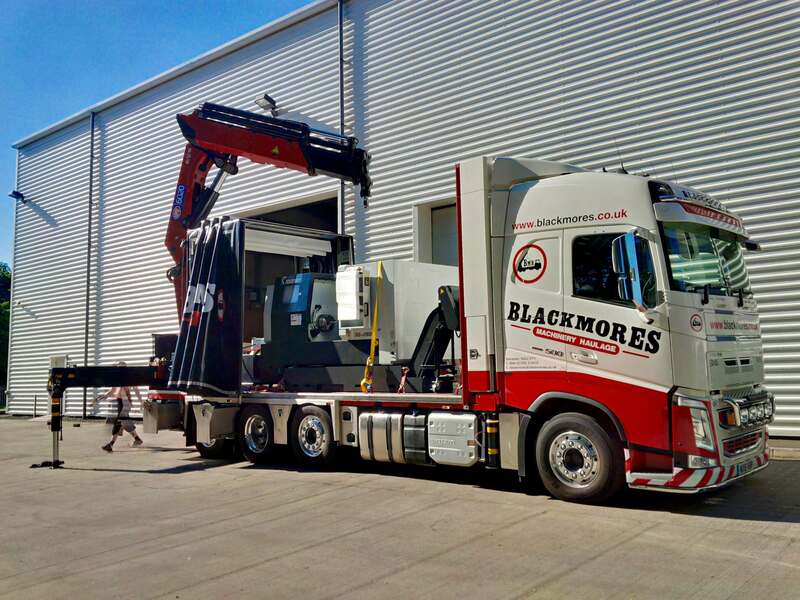 Blackmores Machinery Haulage Ltd were contacted about a difficult move. The work consisted of moving 8 tea production and packaging lines and all associated equipment, from one building on site to another over a main road. Much of the equipment was over 40 years old and needed to be treated with great care, which itself was cause of great concern to the customer. With dedicated on site planning and constant contact, Blackmores were able to work to a very tight schedule to minimise disruption to production. Production could only be interrupted for a very limited amount of time so careful planning & working to a tight deadline were essential to the success of this project. “Right from our initial site meeting Blackmores instilled us with confidence. They provided a pragmatic and safe plan for the timing and execution of our factory move and provided all requested risk assessments etc in good time. The move went without a hitch, nothing was damaged and all equipment started up without incident. The guys were a joy to have on site and assisted in siting the machinery exactly as we required and adhered to all site rules without question. I wouldn’t hesitate in using their services again if I had to carry out a similar project”.